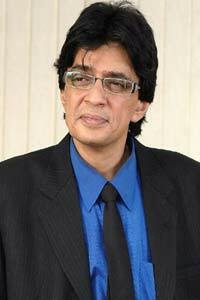 Couple of days back there was a news flash which said actor Raghuvaran is no more. I was shocked at the news as there were no indication of his bad health. He was a fine actor with a wide variety of roles in Tamil cinema especially. His best work includes movies like Puriyatha Puthir, Baasha, Mughavari, Run etc. He had his own style of acting and brought believability to the roles he played. Who can forget the role of a suspicious husband in Puriyatha Puthir or the Mark Anthony of Baasha. Whatever may be the character he played he always brought great value to the roles with his unique stlye of acting and dialogue delivery. His role as Madhavan’s brother-in-law in Run showed that he had great comic timing too and is one of my favorites of his performances. He was and will remain one of the most versatile character artist in Tamil Cinema. He will be missed for sure.